Welcome to the best Tulum all inclusive resorts bliss list. Here we review all the best all inclusive resorts for a family, friends and adult only vacations in Tulum, Mexico. You can also see many nearby Riviera Maya all inclusive and luxury resort destinations and special offers listed in the right margin. Tulum is little more than an hour from Cancun and is well known for the Mayan site that is set against the Caribbean ocean. Many of the resorts are located on one of the best stretches of beach While there are both rustic resorts there are also a few great upscale opportunities to enjoy as well. Some of the resorts listed border with other great Riviera Maya Vacation Spots but are included in the Tulum list for convenience. When to go to Tulum? The busy more expensive season starts after Christmas and continues to Easter. This period avoids some of the wetter months. Discounts of more than 30% are available outside these periods. TIP: Use the interactive map of Tulum to find resorts prices, ratings, including nearby attractions, restaurants, and things to do. 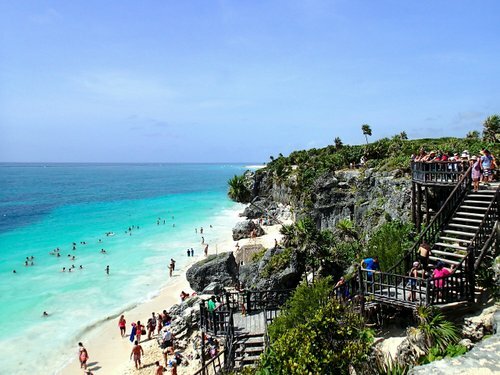 Tulum.com also offers a wide range of attractions. Dreams Tulum is really designed and operated with Tulum family vacations in mind. That does not mean there is not also a lot of attention given to making sure moms, dads and couples alike also get a chance to enjoy some romantic time to themselves as well. A well maintained and top rating Tulum all inclusive family resort in the Riviera Maya sitting majestically on a powder white beach. You have a full 44 acres of resort to enjoy as well as good access to Mayan ruins and Xel-Ha natural aquapark. All inclusive means more than a few ordinary meals. Guests rate the food at a consistently high standard and drinks include top shelf labels across the half dozen à la carte restaurants, buffets, cafés, grills and on the beach. Around the resorts the entertainment teams and kids club supervisors are serving it up with top shelf activities as well. 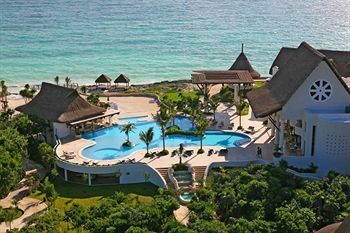 The four star Kore All Inclusive Tulum Wellness Resort. While not the large upscale resort now really common in the Mexican Riviera, this stunning little property does have a couple of good restaurants, a swim up bar, cafeteria, a good garden, tennis court and a spa tub. A lot of people who visit Tulum are looking for something different to the large all inclusive experience. Choosing a resort like this helps keep the area unique and natural. In reality, this place is all about it's natural setting and location. This is definitely a resort to consider if you are looking for a memorable all inclusive experience to get away from it all. 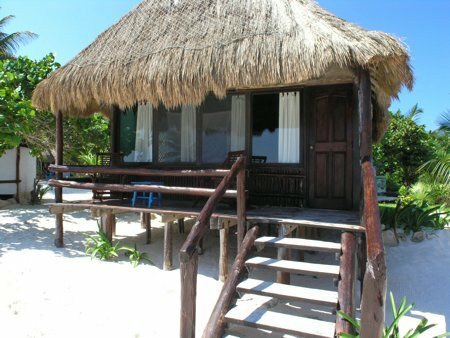 Tulum has a great range of small affordable but luxurious and natural beach resorts. Like Bee Resort pictured above. 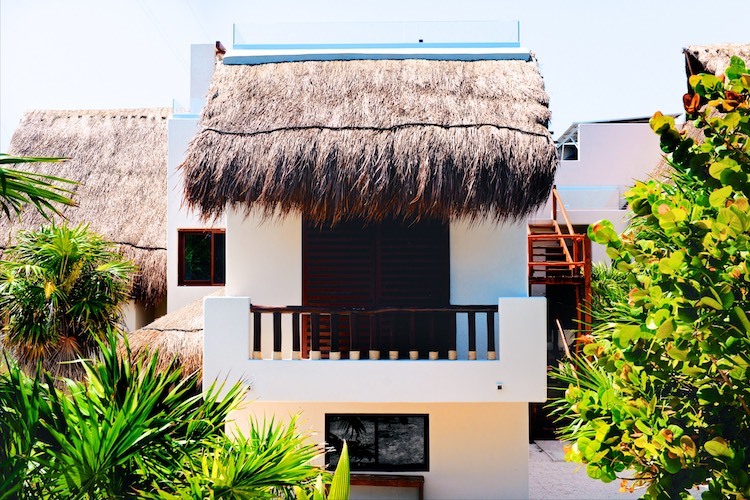 Take a bit of time to explore some of these options before you decide if you would really like to stay at an all inclusive resort in Tulum. While not all inclusive, this resort offers an impressive option. Amenities: Water sports, restaurants, Infant Bedding. A restaurant that only serves fresh ingredients. Rooms: They have a porch, chairs, and a hammock. Beach , sea or jungle view. Reviews: People loved the food and the location though don't expect doting service. This one is down to earth, make your own fun. A great way to connect with the real charm of Mexico. 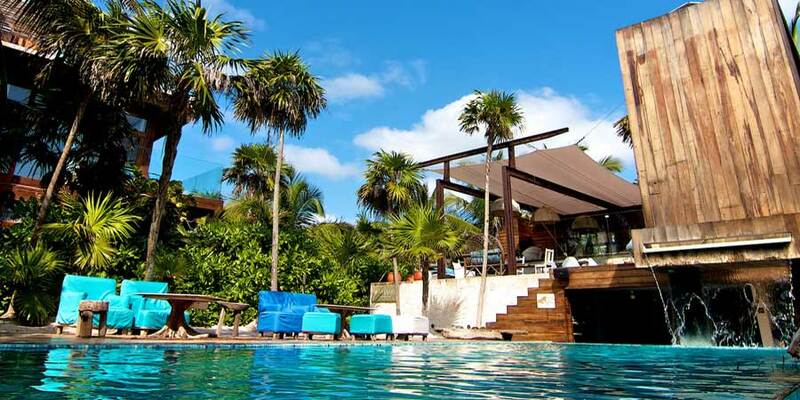 Check out Mukan Resort - an intimate, luxury, all inclusive resort in the Sian Ka'an Reserve. It's a truly special resort that we've listed as one of the top new resorts in the world. 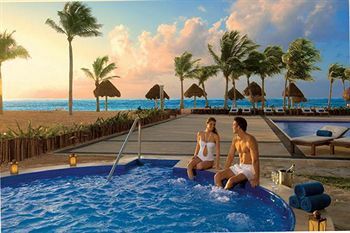 For more all inclusive resorts in Mexico, visit The Best All Inclusive Resorts in Mexico.